Vishesh film may be the only production house in India who still believes in horror films. 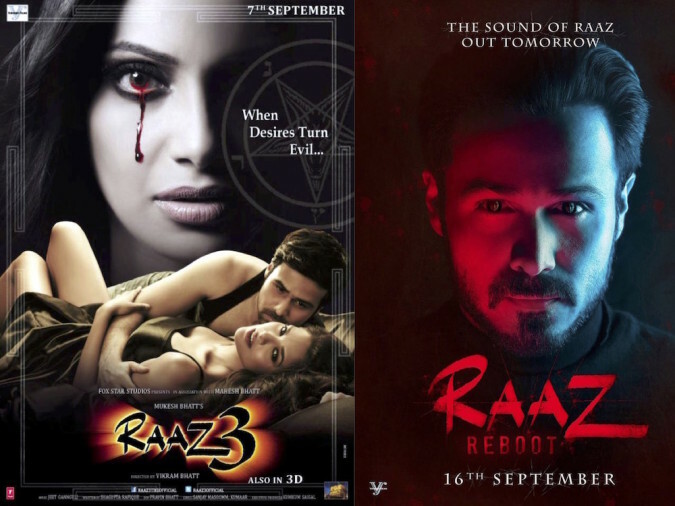 Mukesh Bhatt’s faith in the genre has brought us the 4th part of the Raaz franchise, and it is happening for the first time in the country that any Hindi film sequel is reaching this far. So far maximum no of sequel for a Hindi film is only three. The film title Raaz:Reboot is releasing this week with Emraan Hashmi in the main lead. Emraan has done Raaz 2 and Raaz 3 as well. Vikram Bhatt is directing and writing. He has directed Raaz and Raaz 3. Box office collections of all the previous parts of the franchise were very good. The first part of the franchise was released in year 2002. Inspired from Robert Zemeckis 2000 Hollywood horror “What Lies Beneath”, the Hindi film has the music composed by Nadeem-Shravan. The songs of the film rocked the charts and the film becomes a super hit with a box office collection of Rs. 37 Crore. The second part came of after a long gap of 7 years in 2009. 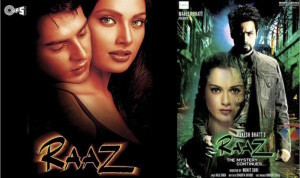 The film titled Raaz: The mystery continues was directed by Mohit Suri and liked by the horror fans. Though because of the dark themes and average music the film did a business of Rs. 34.5 Crore ,which was slightly less than the first part’s collection. The third part was made in 3D and in spite of mixed reviews and below average music this 2012 film did very well at the box office with a business of Rs. 97 crore, and so far is the biggest hit in the franchise. The fourth part has been in the pipeline for 4 years and releasing this week. Considering lukewarm response to some of the last films of Emraan on the box office, this romantic horror is a big hope for him. Vikram Bhatt has written the story for the first time (the first part was written by Mahesh Bhatt and Girish Dhamija while second and third installment was penned by Shagufta Rafique). So it will be interesting to see whether the 4th part will break the record or will it be one more box office disappointment for Emraan.